To inaugurate its Autumn program of learning opportunities, the Zohrab Information Center will host the release of a new audio CD entitled, Forty Martyrs: Armenian Chanting from Aleppo on Friday, September 18 at 7PM in the Kavookjian Auditorium of the Armenian Diocese in New York. 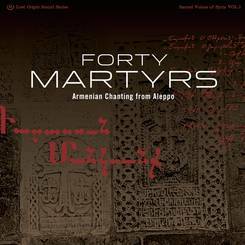 Forty Martyrs is the latest release of the Sacred Voices of Syria series produced by Jason Hamacher. Over six years the musician has documented the ancient prayers, hallowed rituals and sacred spaces of the Sufi, Armenian, Syriac and Assyrian musical traditions of Aleppo. Hamacher recorded Armenian Church hymns sung by V. Rev. Fr. Yeznig Zegchanian inside the 600 year-old Armenian Church of the Forty Martyrs of Sebaste in the old city of Aleppo. The 14th century Armenian Cathedral of the Forty Martyrs in Aleppo, Syria. Armenians have chanted in Aleppo’s Forty Martyrs Armenian Church (Քառասուն մանկանց – Karasoon Mangants) since it was constructed in 1429. An ancient rest stop along the Christian pilgrimage route from Western Armenia to Jerusalem, Aleppo hosted hostels, churches, and a small but well-anchored Armenian community. During the Armenian Genocide, hundreds of thousands of Armenians were deported to Aleppo before many were pushed to the killing fields of Der Zor. By the 1920’s 100,000 Armenian refugees had settled in Syria, most of them in Aleppo. The ancient city would become a safe haven for the Armenians, who prospered there. (CLICK HERE for one Armenian’s tribute to the city and its hospitable inhabitants). The 15th century Armenian Cathedral of the Forty Martyrs was the Christian home for tens of thousands of Armenians who would later immigrate to the United States. The bloodshed in Syria today has reduced the Armenian population of Aleppo by half and and placed this historic, prolific and prosperous community in peril. Mr. Hamacher will share personal experiences of the people, places and events that changed his life in Syria before the eruption of war. He will tell stories, play vinyl records, and show photographs from his forthcoming book and explain how he, a punk drummer from Washington DC, ended up with an archive of Syrian and Armenian history. CLICK HERE TO DOWNLOAD A FULL-COLOR FLYER. This event marks the premiere of the Forty Martyrs CD in the New York area. Copies of the CD and the elegant and informative booklet that accompanies it will be available for sale. The presentation is free and open to the public. A reception will follow. For further information contact the Zohrab Center at zohrabcenter@armeniandiocese.org or (212) 686-0710. #40Martyrs. The Forty Martyrs Church is named after 40 Roman soldiers who converted to Christianity only to be martyred by pagan, Roman authorities in 320 AD. According to contemporary sources, camped near Sebastia in historical Armenia (modern-day Sivas) in the dead of winter, the soldiers were ordered to renounce their Christian faith. When they refused, they were stripped naked and thrown into a freezing lake to die. The next morning, the soldiers were found miraculously alive. They were subsequently burned to death. The Forty Martyrs of Sebastia are commemorated as saints in the Armenian and all other ancient churches. 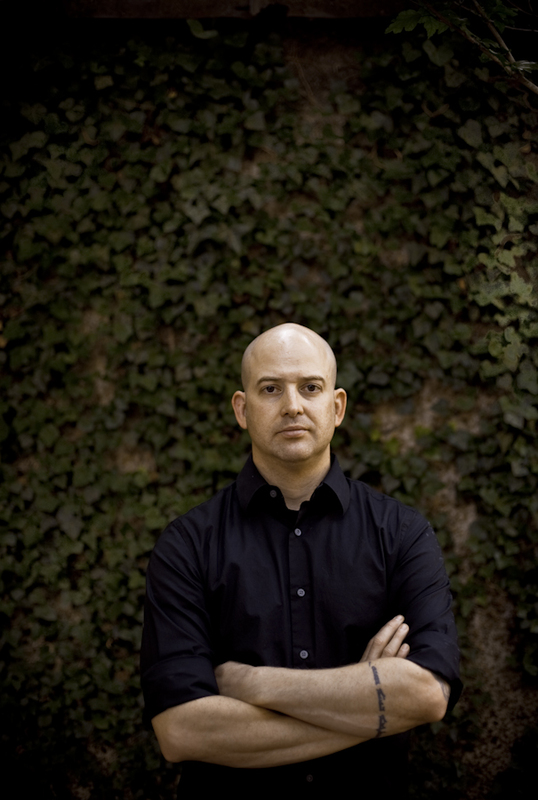 JASON HAMACHER created the Lost Origin Sound Series to share his archive of cultural relics with the world. 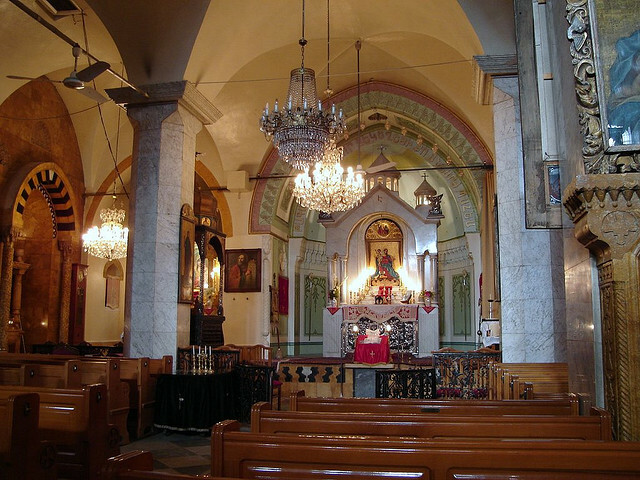 In 2005, the Syrian Orthodox Church, one of the earliest Christian communities, granted Hamacher permission to record their oldest chant traditions. Over six years and several trips to Syria, he documented the ancient prayers, hallowed rituals, and sacred spaces of several faiths. Sacred Voices of Syria showcases the beauty of Syria’s endangered ancient Sufi, Armenian, Syria, and Assyrian musical traditions.